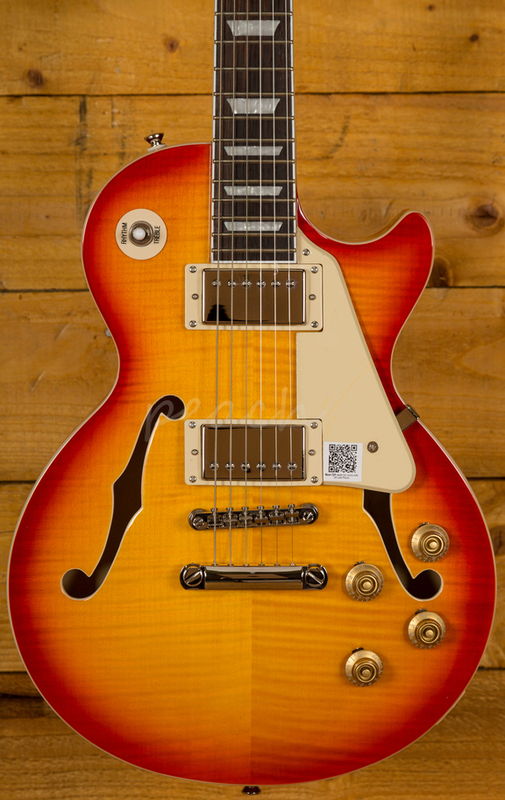 The Epiphone Les Paul ES PRO fuses the most recognisable guitar in the world with the Epiphone tradition of building knockout archtops. 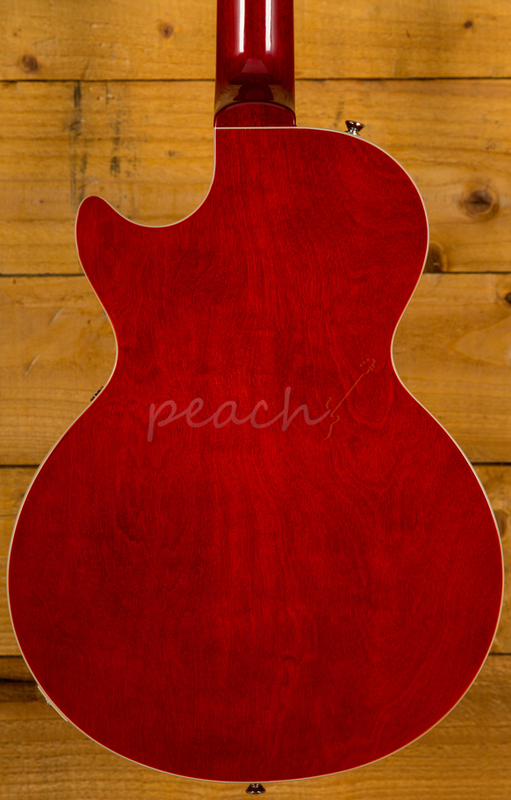 With a Laminated Maple ES body finished in Faded Cherry, the ES PRO features traditional archtop bracing for great stability. 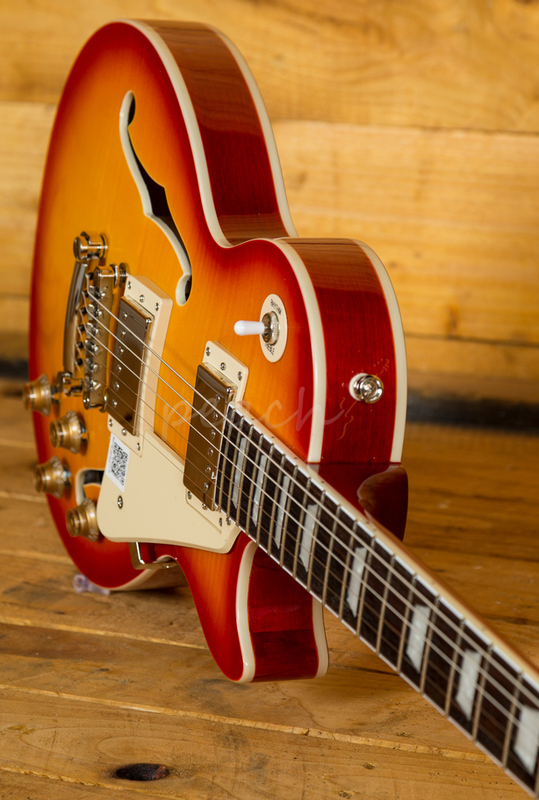 The Mahogany neck has a Rosewood fingerboard with Trapezoid Pearloid inlays, the 1960's SlimTaper D profile is comfortable and with the 24.75" scale length it feels every bit the classic Les Paul. 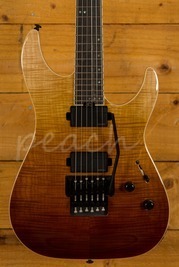 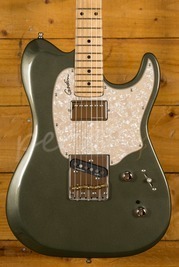 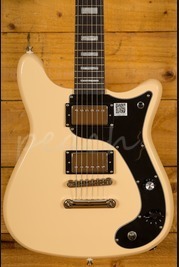 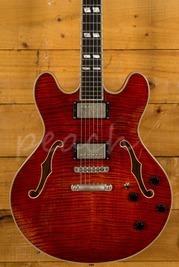 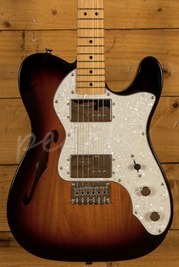 Loaded with a pair of Epiphone Burstbucker pickups, a 2 at the neck and a 3 at the bridge, you get super PAF tones. 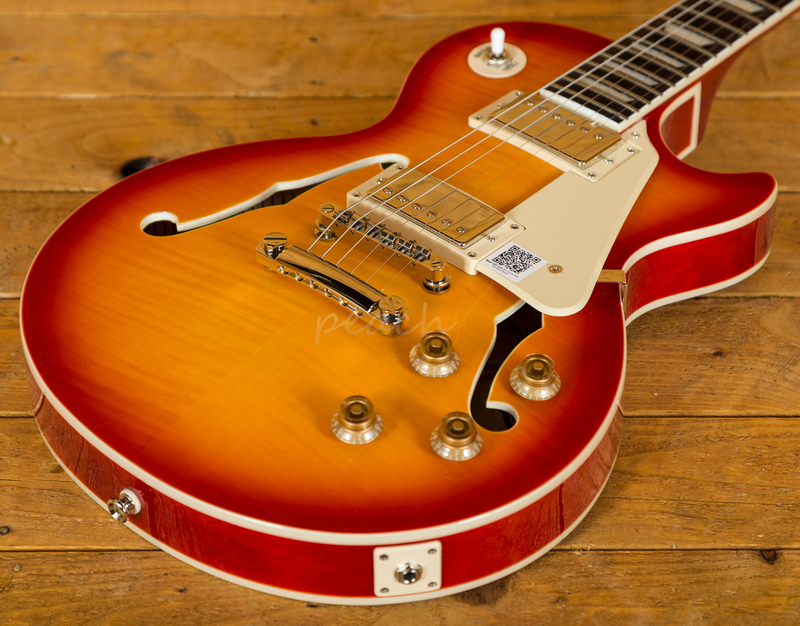 Designed to recreate the first series of handwound Les Paul humbuckers from the '50s, the volume controls double up as push/pull coil taps, allowing you to split the coils on both pickups for even greater tonal variation. 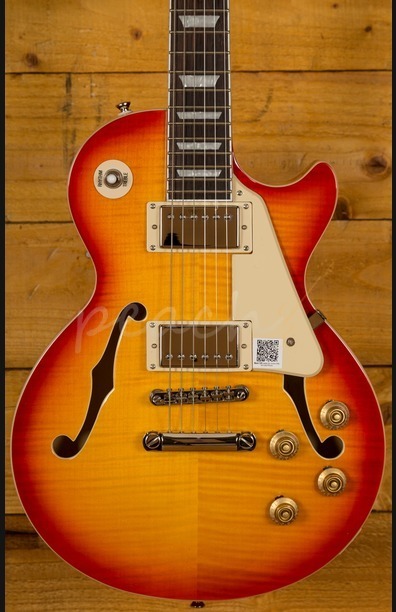 With a fully adjustable LockTone bridge and Grover Rotomatic tuners the Epiphone Les Paul ES PRO delivers incredible tuning stability and intonation.